Hearing aids are one example of a medical necessity that is not covered by most private insurance companies. In fact, there are only three states in the entire country that currently mandate the coverage of hearing aid costs for adults. Keeping in mind the excessively high price of these items, it comes as no surprise that many people find themselves surrounded by perplexity when trying to figure out how to buy their hearing aids. Unless you’re a military veteran, for whom hearing aids are virtually free thanks to the U.S. Department of Veterans Affairs, you will definitely be worrying about how to finance your hearing aids if your private insurer doesn’t cover their cost. There are several ways that you can finance these little gadgets. Some examples are given as follows. One of the simplest ways of financing your hearing aids is by using a medical flexible spending account. This means getting in touch with your employer and trying to find out if the company policy lets you contribute a portion of your pretax income to such a plan. The proceeds from a medical flexible spending account can be used toward many different kinds of healthcare costs, which include the cost of hearing aids and batteries. In fact, being part of such a plan can lead to actual savings. For example, if you are a taxpayer in the 28% bracket and you set aside $5,000 in a medical flexible spending account to buy a pair of hearing aids, you would reap an effective saving of $1,400! If you find it hard to save up for your hearing aids or no other way seems to work out for you, here’s another simple way you can get your hearing aids. With a little bit of mathematics you can easily figure out if the cost of your hearing aids exceeds 7.5 percent of your adjusted gross income. If this is the case, you can deduct this cost from your federal income taxes if you itemize. Luckily, the cost of both, hearing aids and hearing aid batteries can be deducted using this method. Here’s the catch: if you find that the cost of your hearing aids alone do not exceed 7.5 percent of your adjusted gross income, you can easily bunch other hearing healthcare costs in the same year to reach that threshold. For example, if you need elective surgery and hearing aids, try to get them both in the same year. There are rehabilitation offices for each state that provide assistance to workers with disabilities. By getting in touch with the rehabilitation office in your state you can see if you qualify for some of their financing services, such as a low-interest loan for the purchase of hearing aids and assistive hearing technology. 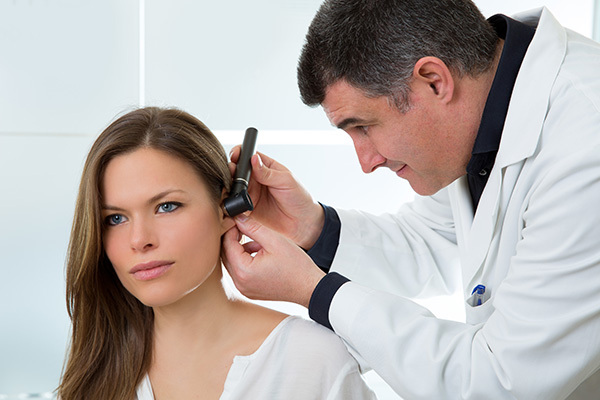 Depending on your state, you may get some help paying for your hearing tests and hearing aid purchases. You can visit the website for your state’s vocational rehabilitation department to find relevant information.